I read this article and found it very interesting, thought it might be something for you. The article is called Why Mumbai Has Few Flats To Rent and is located at https://archive.indiaspend.com/cover-story/why-mumbai-has-few-flats-to-rent-65524. With a population of almost 21 million, a population density of 32,300 persons per sq km and an average of 909 people moving to the city every day to seek their fortunes, it is no wonder that the world’s sixth-largest city has some of the country’s highest real-estate prices. The grim reality is that it will only get worse. By 2030, Mumbai is set to become the world’s fourth-largest city, with an estimated population of 27.7 million—an increase of 889% since 1950, and as more people fight for limited space, the costs of rental and housing could rise further. The housing market in many of India’s cities has long been an attractive proposition for investors, but India’s gross rental yields are still low, which is why it often does not make sense in India to buy apartments to rent them out as opposed to selling them on. Mumbai is no different—and while there is much demand for rented homes, the scarcity of such apartments means high prices. 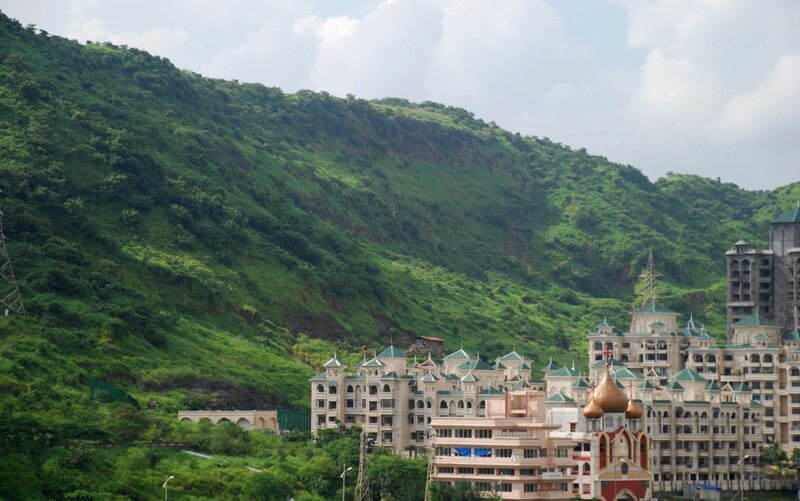 Housing rental costs in the megapolis are 140 percent of its per capita income, according to a MumbaiFirst/McKinsey report. According to an annual report by the Ministry of Housing and Urban Poverty Alleviation 2013-13, India’s housing shortage was estimated to be 18.78 million units; of which an estimated 96% is for households falling in the Economically-Weaker Sections and Low-Income Group segments. The state of Maharashtra, of which Mumbai is the capital, tops the list in having a shortage of homes for its people which stands at 1.94 million or 10.31% of the total housing shortage in the country. While mainstream residential rents in Mumbai have seen an increase of 27% since 2008, according to Savills’ World Cities Review H2 2013, it doesn’t help that the residential rental market in India is still nascent and informal. “The capital gains in a market like Mumbai are so high that as an end user, one wants to buy a house for profit and not so much for renting out. Investors are more than happy to capitalise on the price growth and sell off apartments versus giving them out on rent,” said Limaye. A comparison of residential income across world cities by Savills’ World Cities Review H2 2013 found that New York offered the strongest gross residential yields at 6.2%, while Mumbai’s was an unimpressive 3.4%. In fact, a 10-year Indian government bond would yield better returns. If a comparison were to be made between the return from a rented residence and an Indian government bond over 10 years, the rented residence would yield 4.2% less. All this serves to show how rents in Mumbai have not kept pace with capital values. And, according to Savills, Mumbai’s housing rental market is unlikely to interest investors or lead to capital growth any time soon. Here are four things that can be done to improve Mumbai’s rental situation and bring down sky-high rental costs. Increasing slum redevelopment and industrial redevelopment could free up land for building more affordable housing. “The lack of usable land parcels for residential development in the city is a constraint and increasing slum redevelopment & industrial redevelopment can partially help ease rentals in the medium term,” said Samir Jasuja, founder and CEO PropEquity, a real-estate research and analytics company. Consider Dharavi, often described as Asia’s largest slum. It occupies 239 hectares, or 590.5 acres, of land in the middle of prime real-estate markets—a windfall in a city fraught with housing issues. According to the transfer of development rights (TDR), the land owner is given a certain additional amount of area in lieu of the area relinquished or surrendered by them, so they can use it or transfer it to another for an agreed sum of money. Considering TDR and floor space index (FSI) (a measure of construction density which is the ratio of the total floor area of a building to the area of the plot) which is purchased by a developer from the MCGM for an extra premium, Mumbai’s FSI is limited and goes to as low as 0.75. Jasuja says this is highly restrictive and leads to high prices. He suggests increasing and standardising FSI and ground coverage norms for existing and emerging residential markets will help bring rents down. However, it must be noted, that the state government’s 2007 rental housing scheme nearly quadrupled FSI for private developers who build 160 sq ft tenements for low-income households, but failed subsequently. Last November, the scheme was revised by then Chief Minister Prithviraj Chavan—participating developers are now eligible for an FSI of three, up from one. This, too, has had limited impact. Limaye of JLL said that Mumbai’s residential rental yields are still very low. While commercial rentals yield 10% to 15% of the value of the property, residential rentals provide only about a 2% return. “Since it has such a low return, nobody thinks of buying apartments or building them purely from the perspective of renting them out,” said Limaye. Mumbai’s commuter railway is overloaded, offers limited connections and cannot cope with a swelling megapolis. If suburban connections are enhanced through mass rapid transit systems, such as a metro, more people can live in low-rental towns around the metropolitan region’s periphery. “Improving support infrastructure, such as water and sewage, for markets with lower rentals can improve the living conditions at these locations,” said Jasuja, and ease the burden on the city. Mumbai needs to bring down housing rentals from the current 140% of per capita income to about 50%, according to the Mumbai First/McKinsey report. This can happen if the government grants developers rights to more commercial development in exchange for building affordable housing. “Shifting of industries from Mumbai and nearby areas to cities like Nashik and Pune will also ease pressure on population, and free up land for redevelopment into residential projects/townships,” said Jasuja.